The 6 pin header next to the antenna connector is the serial connector, which allows communication between the ULRS and the computer or tablet. This connector is sometimes referred to as the FTDI header, in reference to the FTDI company who is one of the main manufacturer of USB-to-serial chips and adapters. Be careful to choose the 3.3V version (follow the link above). The second advantage is that it works. It’s really worth the cost of using a genuine FTDI cable, as I’ve seen several clones giving many issues. For example flashing the firmware will work every three times. The core issue is that the atmega isn’t able to give a precise 115200 bauds serial, and gives something close but higher like 117000 bauds. This works with genuine FTDI adapters, but not with all clones. I can’t provide a complete list of the models that will work or not, but this one is confirmed to work. 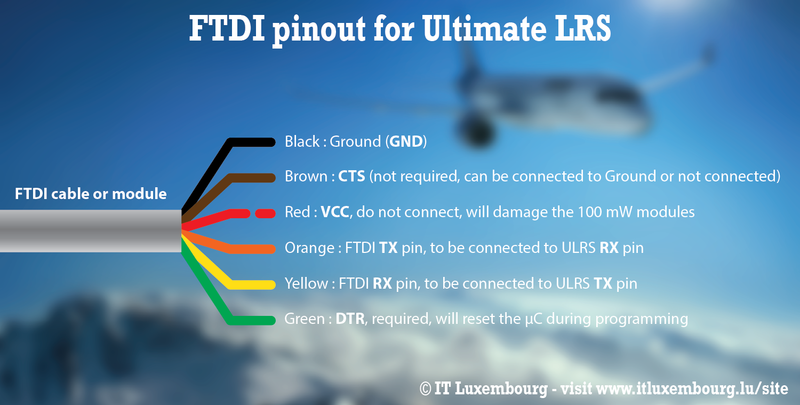 There’s sometimes a confusion, because the TX pin of the ULRS must be connected to the RX of the FTDI, and vice-versa. This is normal, for serial connection the RX pin of anything has to be connected on the TX pin of something else. But to make it clear, you must connect the FTDI adapter pin to pin to the OrangeRX serial connector, without any crossing cable. The Wolfbox modules do have a different pinout, which is described here. Notice the important pin marked DTR on the ULRS : this is used during programming, and causes a reset that will put the module in bootloader mode. 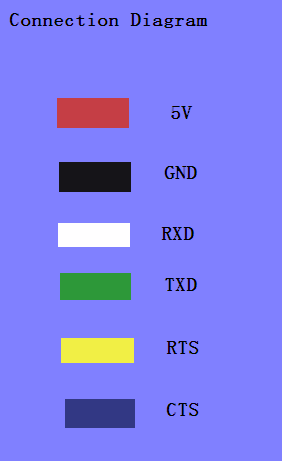 On the alternative color FTDI cable described above, use the RTS signal in place of the DTR signal (which isn’t available). The CTS pin is not needed for ULRS. The Wolfbox modules have a non-standard connector for FTDI. Be careful to connect the correct pins (DTR, RX, TX, GND), taking care of crossing the RX and TX as usual. HOW MUCH CURRENT IS REQURED? 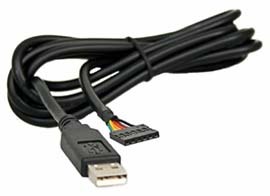 Is this the correct FTDI cable? That one doesn’t work very well, I’d recommend to stick with the genuine FTDI cables, see the link on this page. Does the driver for this work with Windows 8.1? My old cable didn t work with my new laptop. Hello, you’ve got to install the driver provided with your FTDI cable, or you can try the official drivers from the FTDI site. I’m using Windows 8.1 without issues, but with a ‘real’ FTDI cable. Hi I have flashed two units using the cable mentioned above, TTL-232R-3V3. It is described as a 3.3v cable but now that I read it again I see that it has 5v on the vcc. Have I damaged the devices do you think? The 1W modules are usually quite resistant to this (in comparison the 100 mW would be killed instantly as they are 3.6V devices). I’d like to use Ultimate LRS on an Adnroid tablet, with Tower on USB, with FTDI. The problem is, that Tower wants to connect on USB on baud 57600 and there is no way to change it. ULRS uses 115200. Is there a way to modify the connection speed, or any other solution? I noticed that too, it seems that previous versions of Tower had support for 115200 bauds. I’ll add 57600 support in the new version. At the moment it works perfectly with DroidPlanner2 on 115200. Tomorrow i will test this system for the first time. Thanks for the feedback and have a good flight ! You can either power via the FTDI VCC pin, or via the VCC pin of the OrangeRX module. The only risk is to apply 5V of the FTDI VCC pin of the 100mW board, as it will fry the RF module (RFM22B). Normally the 1W module can handle 5V (RFM23BP). To avoid all risks, I prefer to recommend always powering via the VCC (non-FTDI) pin, which will work for all modules. In the FTDI instructions you say that, I quote : “VCC : do not connect, (will not cause big trouble, but OLRS has its own 3.3V regulator)”. Then how is the OrangeRX module powered during the flashing process ? In my case I connected the VCC at 3,3V (not5V) and it all works fine. It would be useful top adapt this instructions page by giving the whole wiring scheme including the powering part, if needed.